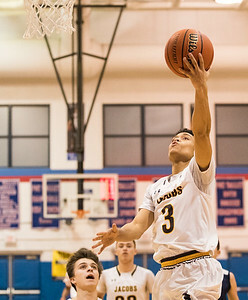 Whitney Rupp for Shaw Media Cary-Grove’s Beaumont Frericks tries to get around Jacobs’ Ajani Rodriguez and close to the basket in the first quarter of the Dundee-Crown Regional Tuesday. 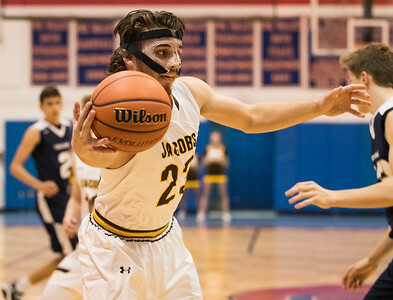 Whitney Rupp for Shaw Media Daniel Murray, Jacobs, tries to keep the ball in bounds in the first quarter of the Dundee-Crown Class 4A Regional Tuesday. 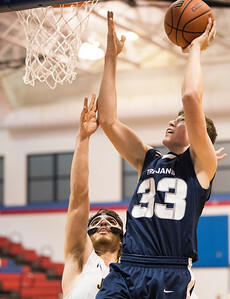 Whitney Rupp for Shaw Media Cary-Grove’s Frank Jakubicek takes a shot just outside the reach of Jacobs’ Daniel Murray at the Class 4A Regional Tuesday. 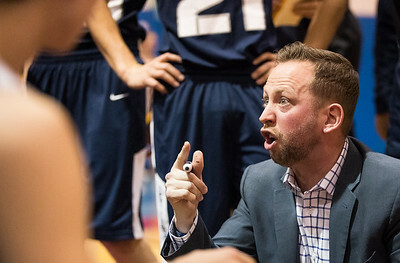 Whitney Rupp for Shaw Media Adam McCloud, head coach of the Cary-Grove Trojans, intensely speaks to his team during a time-out in the second quarter of the Dundee-Crown Class 4A Regional Tuesday. Whitney Rupp for Shaw Media Jacobs' Ajani Rodriguez sails to the net in the third quarter of the Dundee-Crown Class 4A Regional Tuesday. 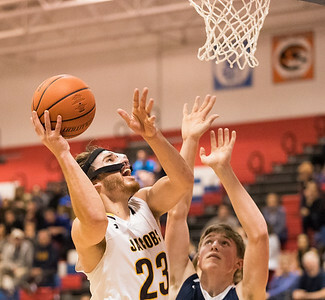 Whitney Rupp for Shaw Media Jacobs’ Daniel Murray goes up for a shot in the third quarter of the Dundee-Crown Regional Tuesday. 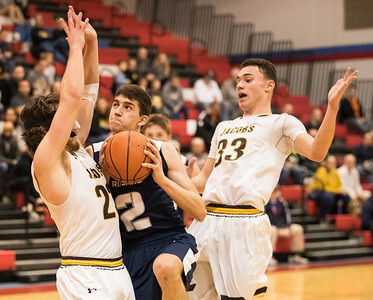 Sam Carhart of Cary-Grove drives to the basket in the fourth quarter of the IHSA Class 4A Regional Tuesday night at Dundee-Crown. 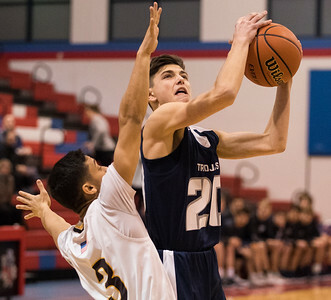 Cary-Grove’s Beaumont Frericks tries to get around Jacobs’ Ajani Rodriguez and close to the basket in the first quarter of the Dundee-Crown Regional Tuesday.